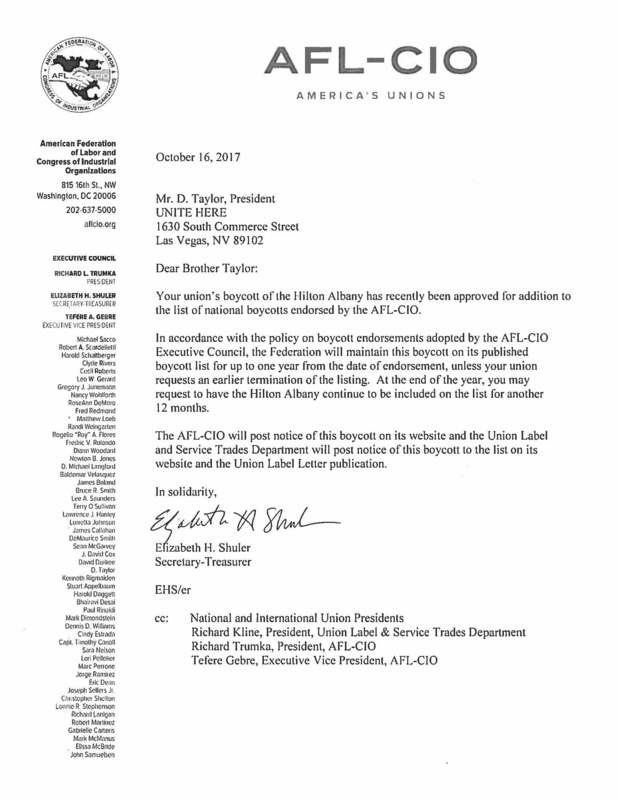 On October 16, 2017, AFL-CIO Sectary-Treasurer Shuler approved a request from UNITE HERE President D. Taylor to add Hilton Albany to the AFL-CIO official Boycott List. 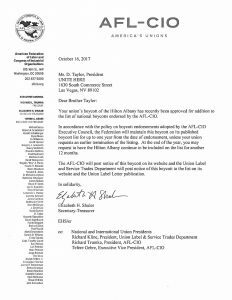 In accordance with the policy on boycott endorsements adopted by the AFL-CIO Executive Council, the Federation will maintain this boycott on its published boycott list for up to one year from the date of endorsement, unless UNITE HERE requests an earlier termination of the listing. At the end of one year, the union may request to have the Hilton Albany continue to be included on the list for another 12 months.